We are a dog training and grooming business that treats your dogs as if they were part of our family. We focus on the good that the dogs give us and make that better both in training and grooming. If your dog comes for boarding , complimentary grooming is included. We seek to support Pet Parents in the quest to better understand, train, and communicate with their Pets. To accomplish this goal we use positive, reward based training techniques. 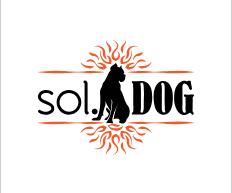 sol.DOG exists, above all, to support the people who love dogs. We offer training, boarding, day care, and adoption services. Our goal is a community where life with dogs is enjoyable, and where dogs all live healthy, balanced lives in committed homes. We recognize the importance of rescue groups and shelters in meeting this goal, and strive to support these entities through our work.